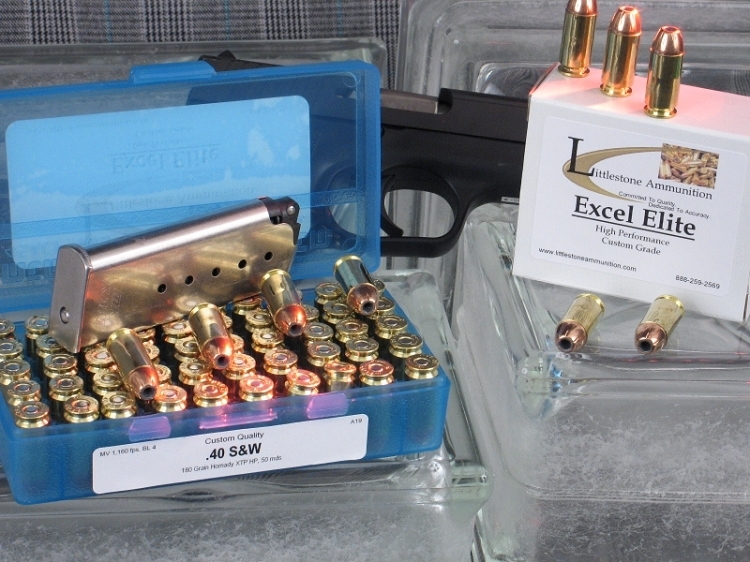 Load the power of Littlestone Ammunition for self-reliant confidence in your .40 S&W pistol. These 500 rounds of Custom-Quality Littlestone Ammunition launch a Speer Gold Dot SHORT BARREL bonded-jacket bullet at a muzzle velocity of 1,060 fps and they pack 449 ft lbs of energy, sure to ruin that bad guy?s day. After you test one or more sample packs, if you and your gun like the load, come back and purchase it in greater quantities. Of course, if you prefer, use the "Add To Cart" button above to purchase this 500 rounds of Littlestone Ammunition now.